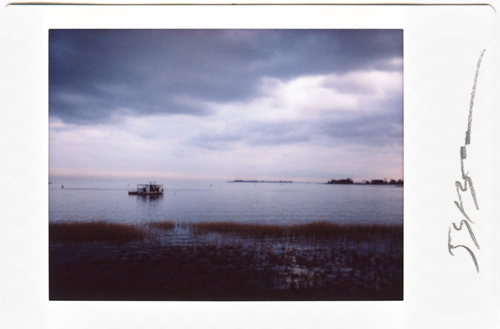 This group of small photograph is from my Instant Photographs Series, many images of which were taken in and around New England. Every artist has their favorites, and this is one of mine taken at the Saugatuck Bay area in Westport, CT. Being an original instant film photograph, they are of course one of a kind; there is only one.